Intel® Joule™ Compute Module Active Cooling System - Now On Sale | Gumstix, Inc.
Last August 2016, Intel® announced the Intel® Joule™ compute module. Since then, our engineering team has been hard at work to provide expansion boards that allow innovators, makers, and designers to build their products using the power and capabilities of the Intel® Joule™ compute module. This last few months, we’ve received a lot of requests from customers not just for our six expansion boards, but also for accessories that they need or want with it. One of the most demanded accessory is a heat sink that would cool down the Intel® Joule™ compute module while it’s hard at work. Hence, Gumstix is pleased to announce and offer our Active Cooling System for the Intel® Joule™ compute module! Now available for just $32 plus shipping! This kit can be used with one of the six Gumstix expansion boards designed for the Intel® Joule™ compute module. These boards are ready for purchase, or can be customized in Geppetto based on your specifications. Gumstix Guru has created a how-to guide in using the Active Cooling System. 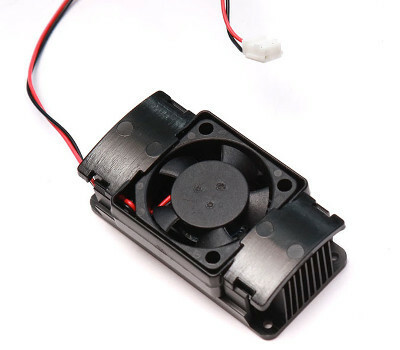 Check it out for an overview of the fan and how to assemble the components. Intel, the Intel logo and Intel Joule are trademarks of Intel Corporation or its subsidiaries in the U.S. and/or other countries.